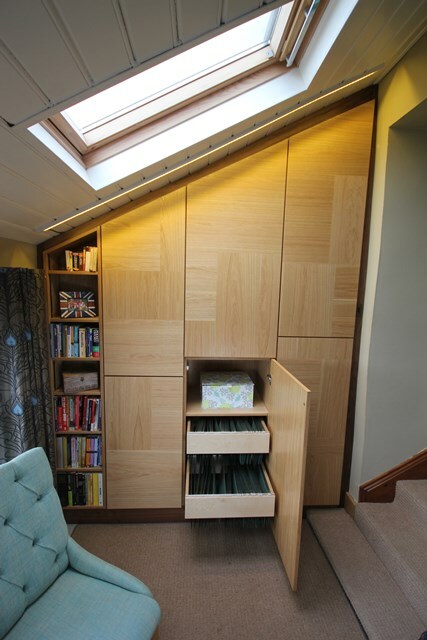 Great storage with a great look making maximum use of a space with an angled ceiling. 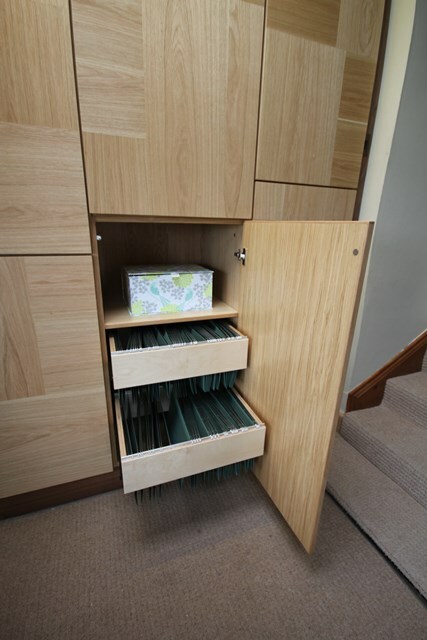 All family homes need space to store the accessories of modern life. And to that end it is important to try and make use of those awkward spaces which are often not really earning their keep! With a well designed solution like the one shown here those awkward spaces can really exceed expectations. 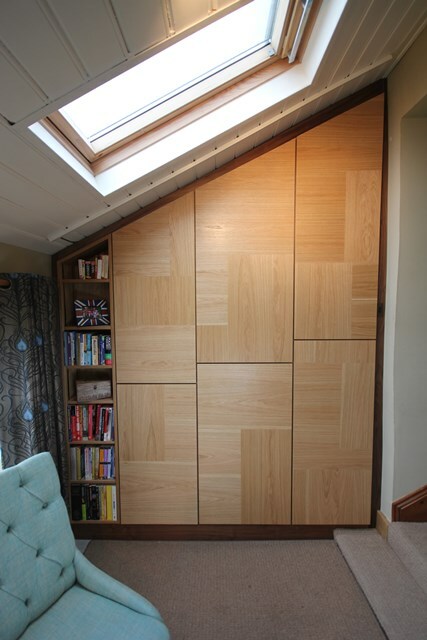 The solution here created masses of storage in the office space of a busy family home. 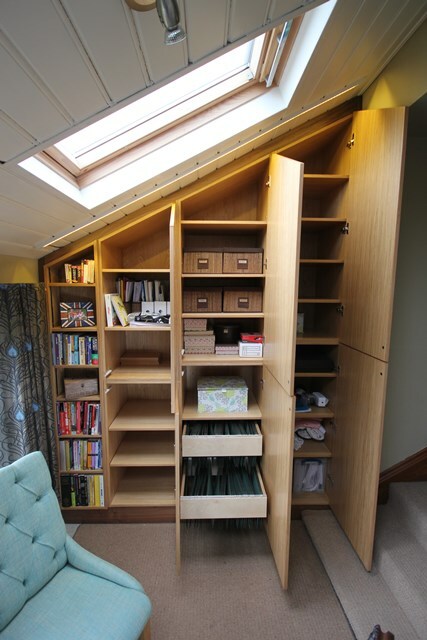 The design combines office storage with general family storage and some book shelving as well. All this is hidden behind some really effective oak veneering which serves to break up what might otherwise have been some oppressively large doors. Instead we have a collage of opposing grain directions – highlighted by LED lighting from above.